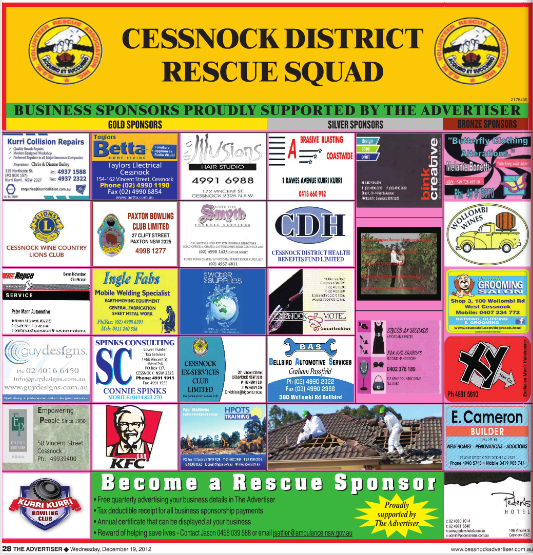 This full page advertisement appears in the Cessnock Advertiser four times a year thanks to The Advertiser’s continued generous support. This is just one of the many benefits your business receives from our sponsorship program. In coming months, we’ll be adding profiles for all businesses on the website to include your address, contact details, website & social media links. To find out more about our sponsorship program, click here or contact us.